Dan and I are currently sitting in Zaraffa's in Surfers Paradise drinking White Chocolate Mochas. Coffee has become a big treat for us, so this is fun. We flew into Sydney 2 weeks ago now, bought a van and have been driving up the coast, we took an unexpected 10 hour trip to Brisbane to meet up with our very good muso friend Phil for a few days! I'm really excited because I've spent a bit of time in Surfers with some of my best friends 5 years ago and always wanted to come back with Dan, also we get to go to Byron Bay (so excited). 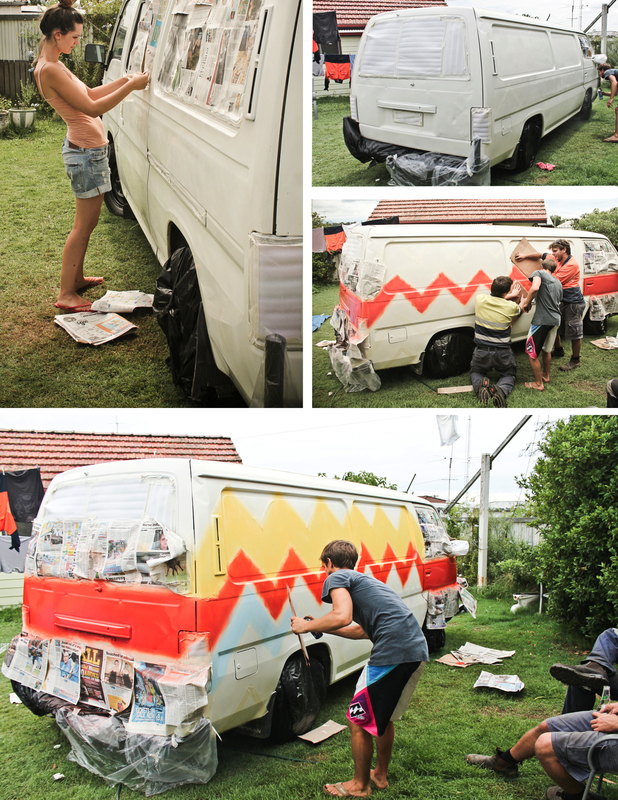 We spent last week in the Hunter Valley and gave our van a paint job! 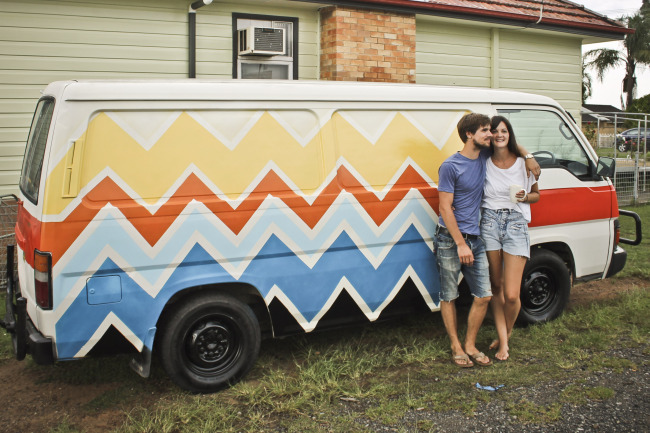 It was a great time, she is way more fun to look at and we no longer feel like we live in a creeper van. We painted it just using regular spray paint, from a local paint store and put a thin top coat over it, so far it's holding up amazing! It's been raining the last few days (very sad) lots of flooding happening over here so we're taking the next week slow and hoping it clears up a bit. Dan just bought a surfboard from a crazy surfer guy at this little shop hitting on girls way too young, so that was pretty entertaining. We're having a blast on the East Coast, this morning we were up at 5:30 to a gorgeous sunrise and crazy amazing surfers riding massive waves, and dolphins popping up in the surf. Magical! Mmm Monday // Bubble Tea!